Hi, I am the Bite-Sized Blonde and I am addicted to Crack. Well, I’m addicted to Crack Pie, which just so happens to get its name from the addiction it is sure to bring on. If you are not intrigued, you should be. Crack Pie is what can only be referred to as the ingenious love child of Christina Tosi, the unbelievably talented and deliciously inclined Pastry Chef at Momofuku Milk Bar. So, back to the crack. This is the pie that all pies aspire to be. The crust is unlike any you have tried before, it is crunchy enough to balance out the gooey center but it maintains an element of chewiness that will pleasantly surprise your textural taste buds. This crust won’t fall apart either – so say goodbye to your pie anxiety – which will forever be known as anxpiety, because you don’t have to worry about a messy pie, which I think we can all agree is a major buzz kill. Not only does this pie come equipped with the most serious crust in town, it is filled with pure heaven. The filling is made of butter, cream and sugar and resembles the inside of a pecan pie, minus the pecans. It is sweet and creamy with a subtle hint of saltiness that will have you screaming. Think Harry met Sally, but less acting. 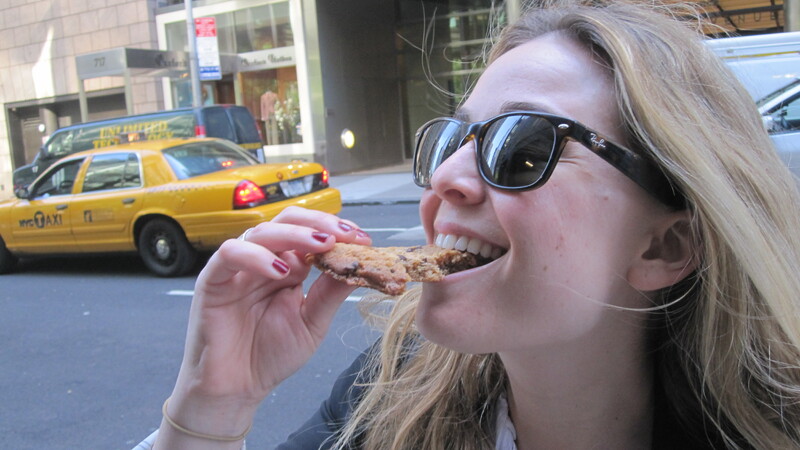 As if the pie wasn’t reason enough to visit Momofuku Milk Bar, they make some of the best cookies in Manhattan. Take it from a Cookie Connoisseur. The cookies are out of this world. I have three favorites; I know you aren’t surprised I couldn’t pick just one. The Corn Cookie is totally unexpected, but that’s not what makes it so good. 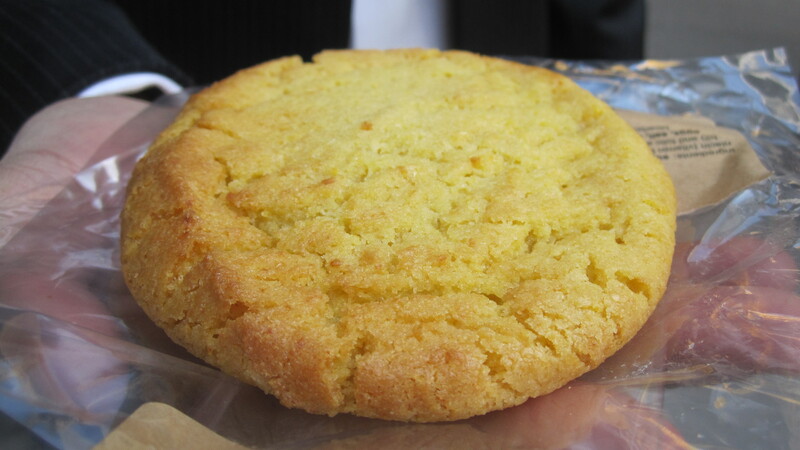 It’s the perfect combination of a corn muffin and a sugar cookie. It’s light and airy but oh so substantial, and needless to say, it’s chew-chew-chewy. This cookie might be unexpected, but after one bite, you won’t have any idea why. Another unexpectedly awesome cookie is the Cornflake Marshmallow Cookie. The cornflakes add an unanticipated element of crunchiness to the cookie and the marshmallows melt into the cookie batter so beautifully. The cookie is flecked with chocolate chips to round out the flavors. 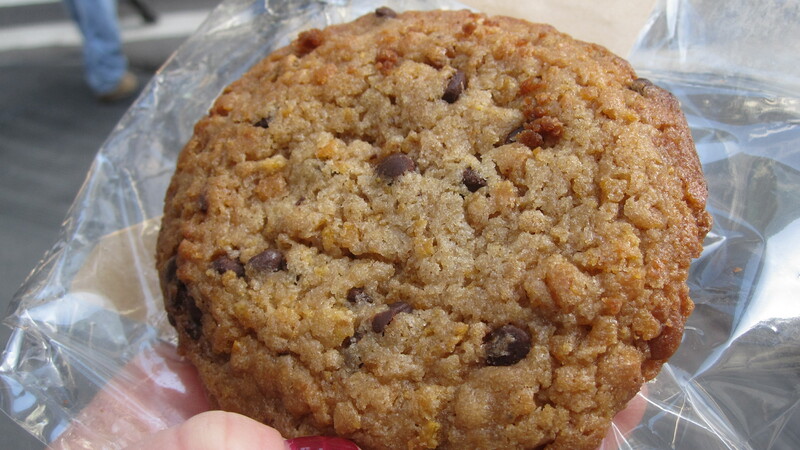 This cookie is unparalleled, even up against the Compost Cookie. The Compost Cookie, which is trademarked obviously, is an addictive combination of all things delicious, including coffee beans and chocolate chips, and lots of butter and sugar. Of course, if cookies aren’t your thing – well, you should go see a doctor. But, in the meantime you can still enjoy some of Christina Tosi’s delicacies, including Cereal Milk Ice Cream and Cake Truffles. Christina Tosi is the Queen of Chewy. Chewy pies, chewy cookies. Chew Chew!! All Aboard. First stop Chewy-Ville, next stop…well probably rehab? Someone is going to have to pry that Crack Pie right out of my hands.